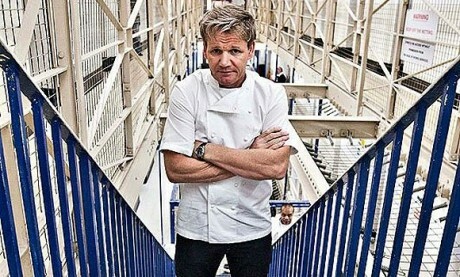 I, like many others around the country, I’m sure, found myself glued to Gordon Ramsay’s latest TV series Gordon Behind Bars. It revealed things that viewers probably weren’t aware of, the stories behind the inmates and the struggles of staying clean on the outside. But more importantly, it showed that some prisoners do want to change for the better, but they need to be given opportunities in order to make that happen. Brixton Prison, which went on sale in Caffe Nero. 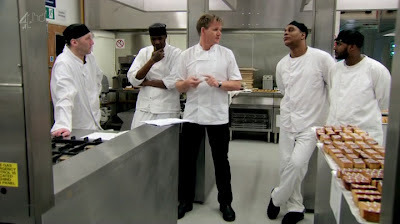 From baking cupcakes in the first episode, the team, headed by the very talented Gordon Ramsay, progressed massively over the weeks. They cooked excellent meals for some of the most experienced businesspeople in the country, and even for Ken Clarke in the final episode. Their lemon slice was even put on sale in Caffe Nero! It was fantastic to see that these people who might have been lost in the system were given a chance to develop skills and many of them made the most of it. One even went on to work in a top London restaurant after he’d been released. So, the fact that schemes like this really can change lives and reduce reoffending rates should inspire others to launch social enterprises that make opportunities available for prisoners. Some people may think that taking that approach is wrong and that prisoners should simply serve their time, but in my opinion, that doesn’t help anybody. If you don’t want criminals to reoffend upon release, they need to be rehabilitated and given the chance to learn skills and better their lives. If that doesn’t happen, the state will just end up spending even more money locking people up for no real benefit to themselves or society as a whole. I was reading through some people’s thoughts on Twitter during the final episode and one person said “Not everybody can be fixed”. That’s an excellent point. No matter how many opportunities are made available, some people won’t make the most of them. That might not be out of choice – they might simply find it too difficult to escape their old way of life as that’s all they’ve ever known. But when it does work for somebody, it makes it all worth it. Of course, it would be naïve to think that every prisoner in the system could take part in these schemes where businesses could be set up in prisons, so it lies with the government to put rehabilitation schemes in place where prisoners can learn new skills, get over drug addictions and improve their lives. The current system certainly isn’t working, with rising reoffending rates – one person on the show had been in prison 34 times, so something definitely needs to change! Whether that means better rehabilitation, tougher sentences or a combination of the two, the government needs to look into changing things. So, although I started out slightly sceptical of the series, it opened my eyes to what is a real problem with the justice system in our country and the struggles that some people in society go through. 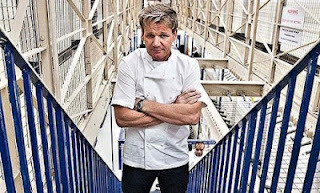 I certainly hope that Gordon Ramsay has inspired business owners to be more socially responsible by making opportunities available to ex-prisoners or launching new social enterprises. It’s that positive attitude which will make criminals become a useful part of society, rather than costing the state more and more money. a real change to their lives.